To create a compassionate, learning community that enables a child to build a vision for their lives. Where every child leaves school having identified an intelligence, a talent, a skill, through which they can understand who they are, and the contribution they can make to the world. We offer a relevant cohesive education which teaches children to think rather than just remember and shapes teaching around the different ways children learn. We embrace diversity and believe in creating a school community where children, parents and staff feel feel a genuine sense of belonging. We are committed to creating an environment where compassion and an awareness of social justice is actively taught and developed. At Forres we are concerned with the mastery of knowledge as well as the mastery of self. honouring the unique potential of all our learners by fostering their knowledge of their own strengths and weaknesses, helping them to discover their passion in life and to develop the skills, creativity and confidence they need to excel in the real world. high quality teaching that is responsive to the different ways that children learn and achieve their best. providing an active, skills-based approach to learning that is designed to teach children to think rather than just to remember. providing a curriculum that is relevant, balanced and hands on. ensuring a physically and emotionally safe learning environment for our learners. building relationships between learners and educators based on core values of mutual respect, self-discipline and personal dignity. involving parents as active and valid partners in the education of their children and maintaining a positive relationship with parents based on values of open communication, mutual respect and trust. staying at the forefront of educational developments and the personal and professional growth of all its staff. encouraging each child to develop and experience his/her own spiritual value within an atmosphere of openness and acceptance. At Forres we adopt a position that children live their lives according to the stories they tell about themselves. As teachers, we stand accountable and believe we hold the power to develop narratives that are positive and help children to build a vision for their lives. We engage in annual and active teacher training which equip our teachers with the skills to look for and grow these celebratory and hopeful narratives about our children. Personalising the learning journey by shaping education by individual need, interest and aptitude so as to ensure that every child achieves and reaches the highest standard possible for them. When a child joins Forres a Learner Portfolio is opened in which their talents, interests, passions, strengths and challenges are documented throughout their stay. In addition, learning milestones are documented as they are achieved and Individual Learning and Support Programmes are designed to provide support, learning strategies and / or extension. Learning is shaped around the way children learn best. Every child can develop their brain, abilities and talent through applying effort, hard work and self discipline. It does not just ’happen’ because you have talent or are clever. You have to grow your brain. Research on how the brain, mind and body work together is exploding and is the new paradigm through which we understand how to teach and how we learn at Forres. We teach children to think rather than just remember and we teach children how their brain works. Every child has a talent to do well at something. The trick is to find that something. As teachers we are also in the business of talent spotting: identifying and supporting the development of talent. We focus on strengths and talents and endeavour to create platforms upon which children can stand and develop their own unique abilities/interests. We believe schools play a role in the making and shaping of a new society. To this end we actively teach and run programmes that develop positive social and emotional behaviour and raise awareness around social justice issues. A programme which is driven through the whole school that equips children with the social/emotional skills, strategies and resources to navigate through an ever changing world and bounce back from adversity. To embrace and celebrate the richness of all kinds of diversity at every level of the school. To create the conditions of a school culture that respects and appreciates difference and teaches the skills to live in a multi cultural world. Every year, Forres children identify a people, animal and earth project in their community and design campaigns around them. In choosing and driving these campaigns children develop the kind of compassionate leadership our world needs and a belief that they can make a difference. Self Awareness: the ability to accurately recognise ones owns emotions, thoughts and values and how they influence behaviour. Social Awareness: the ability to take the perspective of and empathise with others, including those from diverse backgrounds. Responsible Decision Making: the ability to make wise choices about personal behaviour and social interactions. Self Management: the ability to successfully regulate ones emotions, thoughts and behaviours in different situations. Our Web of Care embraces all of the paradigms listed above. It is through and by this team that every parent, teacher and child is helped and supported in their learning journey, emotionally socially and academically. Teachers consult with the TSTeam weekly, where children’s portfolios are checked, updated and individual learning plans developed where needed. In this way the personal learning journey is continually evaluated. Parents are seen as valuable partners in this process and often participate in meetings. Forres is the culmination of a lifelong passion I have always had for children and education both professionally and as a mother with 4 children of my own. It is my greatest wish that your child’s experience at Forres will provide them with a positive and life affirming foundation upon which they can build a vision for their lives. My goal is that they will leave Forres knowing what their talents, strengths and passions are and that they will make a meaningful contribution to their communities and the world at large. I feel very privileged to be the Headmaster of Forres Preparatory School. Each day I am excited and look forward to working with our students, staff and parents to make our school the best school it can be. My commitment to the Forres community is that I will lead our school with enthusiasm and passion to enable us to reach our goals. I wholeheartedly agree with Nelson Mandela’s quote, “Education is the most powerful weapon that we can use to change the world.” For me, being part of a school that enables children to grow both socially, emotionally and academically into adults that will make a positive difference in our country is critical. Forres does this on a daily basis and I am proud to be part of this team that is shaping the future leaders of our country. 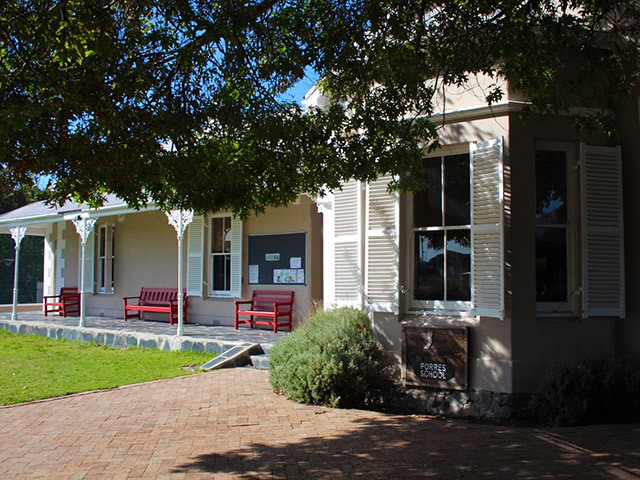 Forres was founded in 1948 by Mrs Cuthbertson, Miss Fawcett and Miss Brunyee who – inspired by the forest that covered Rondebosch Common at the time – named their school after the heath in Shakespeare’s Macbeth where the three “hagged sisters” meet! Initially the school functioned as a preparatory school for boys aged 3 to 8, run on the lines of similar schools in England. 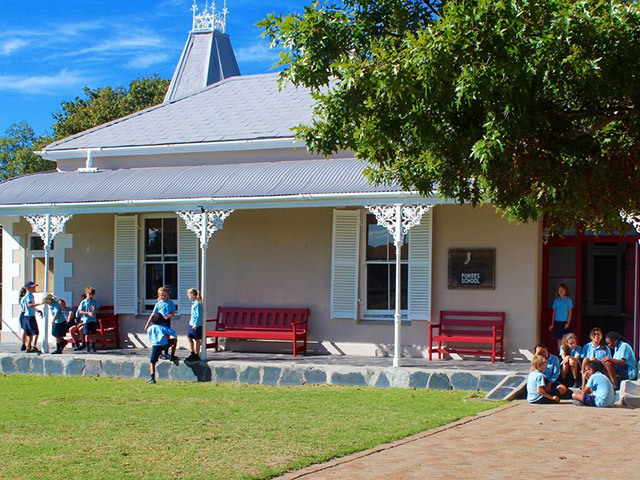 Today it is a progressive, co-educational Preparatory school offering a full pre-school (2 – 6 years) and preparatory school (Grade 1 – 7) programme, in a child-centred, small-class environment. 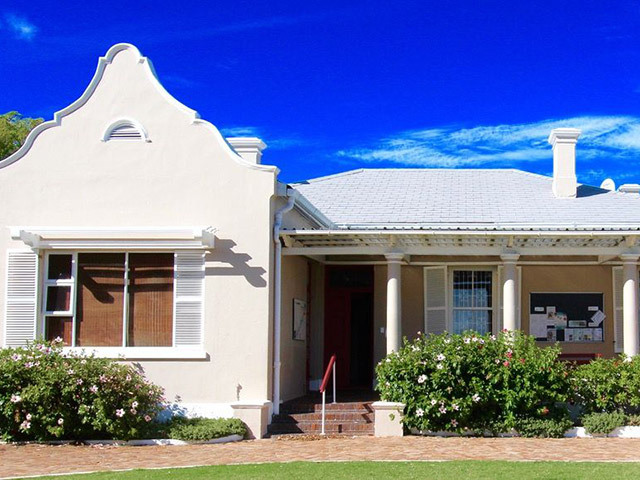 The school is housed in a charming turn-of-the-century house in the heart of Rondebosch, a popular residential area in the Southern Suburbs. In 2006, four years after having purchased the neighbouring property and finally being granted permission to operate an educational facility, our vibrant little preschool has taken occupation of the campus. The extensive garden and grounds have been designed to provide our children with a vital and vibrant outdoor program. 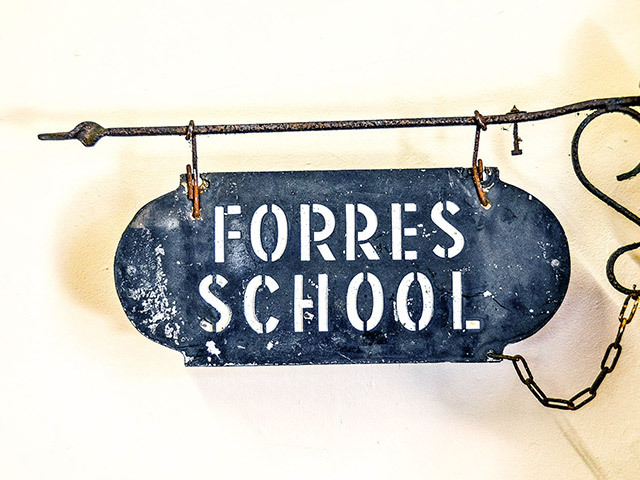 Today Forres is a progressive, co-educational Preparatory school offering a full preschool and preparatory school programme in a small school environment.